Work for Zscaler Internet Access? Learning about Zscaler Internet Access? "Zscalar is great as a web security but doesn't fit the performance"
The portability of the security system. I was using Symantec endpoint and moved into ZScalar as a organization decision. The move was smooth and good and the portability that comes with ZScalar is amazing. Anything that needs to be done to the system can be done remote from access to management. The zscalar controls everything from phishing emails to malign attacks. The performance is a pain. I could really feel that the system is much slower to boot, operate and shut down itself. The emails or communications takes its own time to get delivered to the system. The delay sometimes are even 2 mins and more. So, yes the performance is a pain in Zzscalar. Also the remote management is not instant and would require the end client user ro wait a few mins before it takes effect. "UZscaler default route to internet block the bad and protect the good"
"The worst proxy experience I've ever had the misfortune to have to use." I can't find any redeeming feature for this abomination. Since it's implementation I have not been able to access any secure site that is properly configured to verify certificates. Go to google.com using Chrome and it refuses to connect because the certificate provided is for Zscaler and not Google. Don't do it! Loads of useful sites will stop working and will cause you massive headaches to get it working properly. Allegedly this makes it more secure to access external sites, however I suspect it's actually being used to provide corporates with a deliberate man-in-the-middle attack so they can more closely monitor what their users are accessing on the Internet. If that's the intention then they probably think it's a great product. The security level which zscaler provides its simply awesome. The beauty is without proper credentials nobody is allowed to access an unauthorized site. Security at its best!! Nothing as of now. The browsing is safe and authentic. Once came across any disadvantage will jot it down. The best security in the market. Only genuine users to access the site. "One of the best secure Internet and web gateway "
IT enables the users to connect direct to the Internet via the Zscaler cloud and bypass slower hub-and-spoke architectures. Also, this application reduces the cost of maintenance of security appliances.It is a very effective solution against zero day exploits. By providing real time visibility and analytics, we can understand more about the various threats. Also, it provides Data Loss Prevention thats very critical for the work. "Great cloud security platform "
Every website that I open, goes through the scanning of Scalar and keeps my system safe from viruses. Ease of use, great admin portal, reporting is excellent, integration with Azure SSO is fantastic, sandox. protecting our users drom emerging threats. Need to improve the Sandbox message when a file goes to scanning. Email links, risky attacments, category blocking with diffrent profiles, SSL inspection. Roaming users are protected with agents. This is the best secured software, you can find and stop the bad stuffs and work securely. Right now there is nothing to dislike. works good!! It includes web and URL filtering that is good as business perspective. 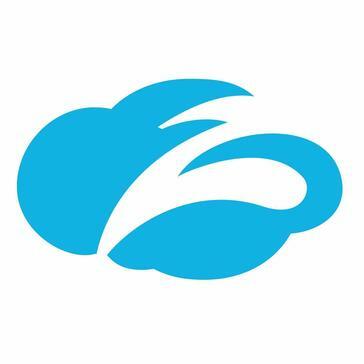 "ZScaler - the new Internet"
ZScaler will be the new standard for internet filtering. is always innovating new technology. If you don't use the agent, There is no way to monitor if users removed zscaler from their proxy settings. Internet traffic can go out the local pop and doesn't have to travel over WAN links. Web filtering, Security is easily monitored. "good for web security "
this is secure internet access application. it essential to have security software on the work laptop. it does affect system performance as its running in background. "User friendly UI and light weight"
Documentation is part which could be improved slightly, otherwise its good. As the name suggests it provides complete web security. * We monitor all Zscaler Internet Access reviews to prevent fraudulent reviews and keep review quality high. We do not post reviews by company employees or direct competitors. Validated reviews require the user to submit a screenshot of the product containing their user ID, in order to verify a user is an actual user of the product. Hi there! Are you looking to implement a solution like Zscaler Internet Access?